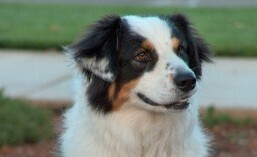 I’m an Australian Shepherd, which is an exceptionally intelligent breed of dog. So, my human companions have been pestering me to get off my lazy (but I must say impressive) rear end and post a blog. Having always perpetuated the illusion of unquestioned adherence to the demands of these well-meaning but consistently annoying individuals, and at the expense of my necessary 23-hour-per-day rest period, I acquiesced to share with you a series of astute observations. My name is Flapjack. Deal with it. By the way, one of my human companions has written my memoirs (I actually dictated them to him) in the form of a children’s book series titled The Adventures of Flapjack. The series is really quite charming and the best part is that since I’m deeply committed to the plight of children in America all net proceeds are being donated to NoKidHungry.org championed by Jeff Bridges. So…what are you waiting for…check it out!